benefits of fermented foods | Healthy Eating Rocks! Antibiotics were a miraculous discovery, saving lives because of their ability to kill bacteria. Thanks to antibiotics, diseases such as tuberculosis, typhoid fever, diphtheria, and leprosy are treatable and not a problem for most people. However, there is a downside to antibiotics, and one that I experienced firsthand after taking them for 7 years at the advice of my physician. When you take antibiotics, they destroy both bad and good bacteria. Collectively, the bacteria in our gut or gastrointestinal (GI) tract are called the microbiome or the microbiota. These good bacteria are necessary for our health. They help us fight infection by crowding out unhealthy bacteria. We also need bacteria to help us digest food. And they decrease our risk of allergies, asthma, and inflammatory bowel disease. Without these healthy bacteria, we would not survive. By the age of 18, the average person has taken 10 to 20 courses of antibiotics. And with each course of antibiotics, we lose more of the good bugs. Taking antibiotics only when really necessary is an important step in preserving the good bacteria in your microbiome. Adding back healthy bacteria is another important step you can take. 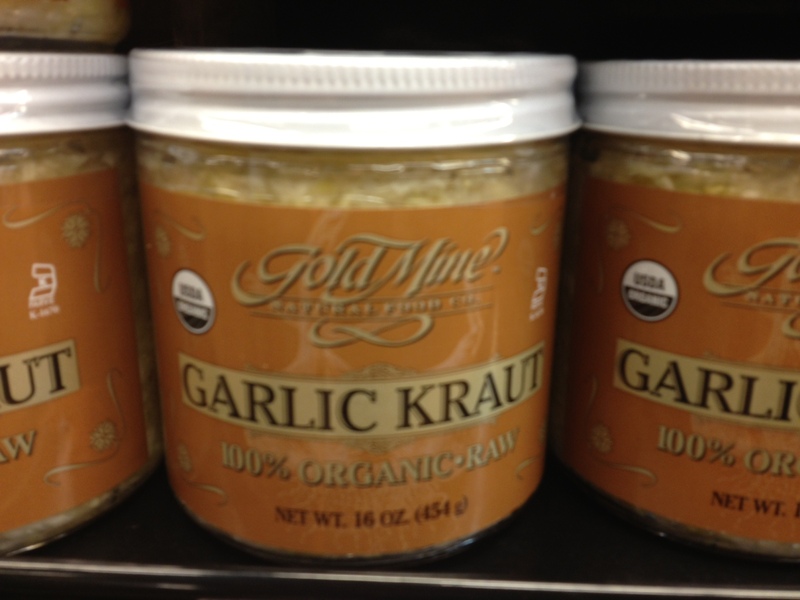 The best and most reliable sources are fermented foods. This includes high-quality yogurt with live cultures, kefir, and fermented veggies. Since I can’t eat dairy, I have been eating fermented veggies and have to say that I love them! When looking for fermented vegetables, make sure they contain live cultures. You will find them in the refrigerated section of the market. Below are a few I have found. 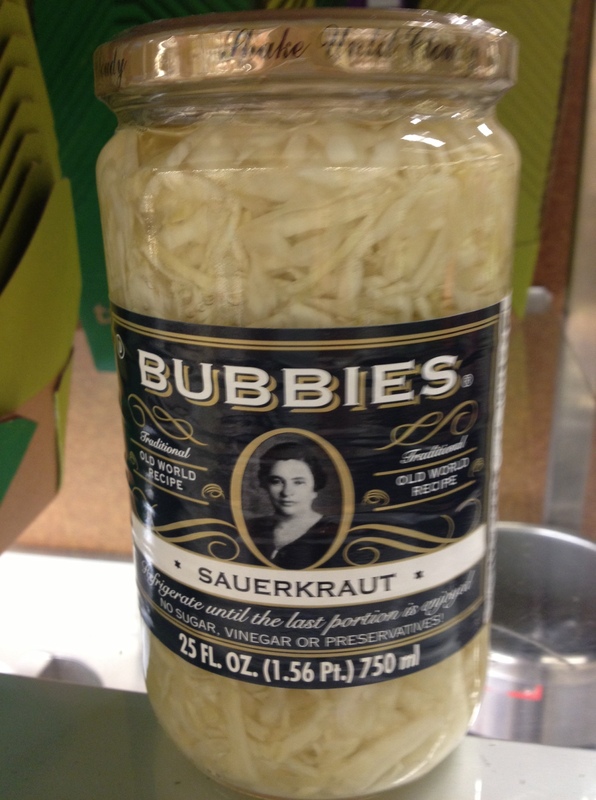 Bubbies sauerkraut is easier to find and it does have live cultures. 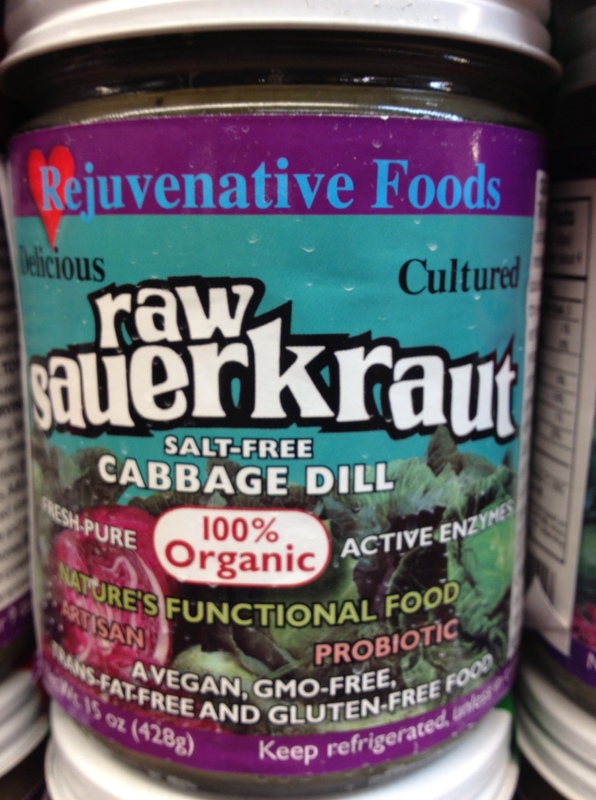 Gold Mine sauerkraut is available at some Whole Foods Markets and independent health food stores. There are even salt free options! I found the Pickled Planet brand at the Co-Op in Santa Monica. 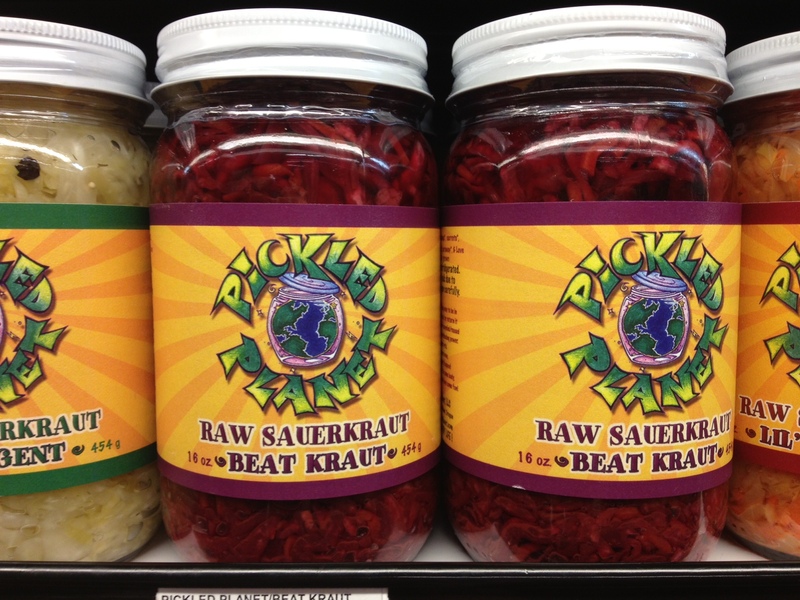 I tried their sauerkraut made with beets and caraway seeds and it was delicious. Check independent health food stores near you to see if they carry this or other brands. I even found fermented pickles and salsa! And there is always kimchi, Korean-style fermented vegetables with a spicy kick. You can even make your own fermented veggies at home. There are so many options to choose. All are a lot more interesting than a probiotic supplement. Do you have any favorite fermented veggies? I would love to know which brands you like or what you are willing to try.